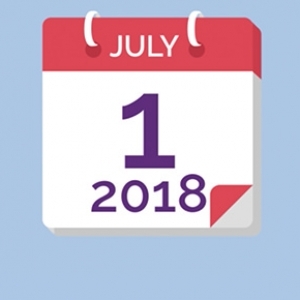 Don’t forget, there’s only 7 business days until 1 July when Single Touch Payroll reporting starts for organisations with 20 or more employees! Smaller organisations should also put it on their To Do list, as the plan is for employers of all sizes to be reporting this way from next year. Confused about how this might affect your business? Perhaps your friendly Halletts accountant can help! Do you pay your PAYG tax in instalments? The recent announcement from the ATO (more information here) of an increase in the GDP rate used to adjust your quarterly PAYG instalments for business and investment income from 4% to 6% will mean higher PAYG instalments next financial year. If you don’t believe your income will grow by 6% next year, you can apply to vary (reduce) the amount you have to pay, but be careful not to underestimate! If you’re unsure, please ask your friendly Halletts accountant to crunch the numbers for you. Remember, you don’t need to advise the ATO if your growth rate will be higher than 6%. Unsure if this applies to you or if you might need to start paying tax in instalments? We can help you work that out too!